Without reliable access to water, human beings cannot survive. Yet 3 out of 10 people do not have a safely managed water supply, and 6 out of 10 lack safely managed sanitation. Over 2 billion people drank water that was fecally contaminated in 2015, and the World Bank estimates that the annual cost of poor sanitation is in excess of $260 billion annually. The technologies that can address these shortages are not complicated, but their upfront cost remains unaffordable to many low-income families. In Indonesia, for example, connection to piped water systems averages $150, while a flush toilet can cost around $250. For comparison, 11 percent of Indonesians live on less than $27 per month. Microfinance offers an affordable, accessible remedy to these market barriers, but water and sanitation are not traditional targets for microcredit. Loans for water supply and sanitation (WSS) improvements require technical knowledge that many financial institutions lack, and the improved water or sanitation facilities do not usually generate cash flows that repay the loan. WSS loans often produce economic impacts, but they are more diffuse, easier seen in aggregate: the child that does not fall ill, the hours not spent walking to a well. Yet as we have seen with the financing of solar products, there may be room for a broader role in financing assets that improve quality of life and alleviate human misery. By that standard, WSS loans are incredibly sound investments. The nonprofit Water.org is one of the global leaders in facilitating WSS investments through its global WaterCredit program. WaterCredit programs are often set up as tri-parte arrangements. A prospective borrower applies for a loan to install a toilet, buy a water tank, or finance a piped water connection (among other uses). If approved, the money either disburses directly from the financial institution to the contractor, generally a local artisan, or to the client, who then use it to buy or build the WSS product they need. The ideal option for the financial institution is to deliver the loan capital straight to the vendor, which reduces the credit risk of funds being diverted to other uses. This is more easily written than done, of course. As you might expect, most financial institutions lack technical expertise in the requirements of latrine construction or indoor piping. Management is often unaware of the benefits and needs assistance in structuring a loan product, staff require training on the features of WSS loans, and credit officers may need to deliver very different sales pitches. In Tanzania, for example, a WSS program ran into difficulties when loan officers were embarrassed to discuss clients’ toilets. Financial institutions also benefit from established relationships with third parties who can offer capacity-building support for WSS lending. This is where Water.org comes in. By partnering with financial institutions, Water.org offers technical and financial support, helping these institutions overcome barriers to WSS microfinance and demonstrating the impact that such loans can have. This is not a limited engagement. A deep, long-term relationship is often needed to build financial institutions’ capacity, but the sustained effort can produce dividends. 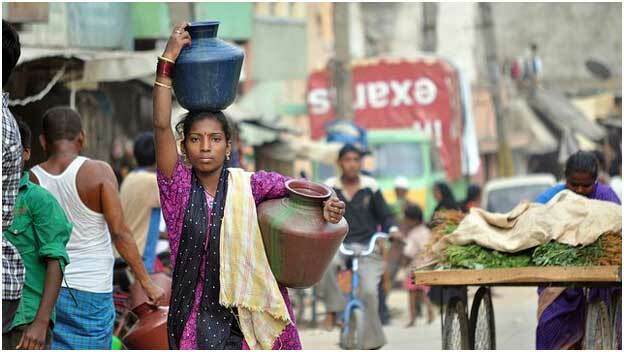 Water.org has helped catalyze $602 million in WSS finance to 1.9 million borrowers in 11 markets. In India, Grameen Koota has been perhaps the most successful adopter, issuing almost 600,000 home improvement loans in the last four years, with upwards of $144 million lent in 2016 alone. In 2015, repayment rates across WaterCredit providers exceeded 99 percent. Water.org has already experimented with digital loan repayment in Cambodia, where borrowers used the mobile transfer service WING. In Kenya, with more mature digital credit options already available, extensive work was done with Equity Bank to digitize their existing Maji loan, creating an easier-to-use, more profitable product that leveraged the existing Equitel platform and mobile app. Unfortunately, the interest rate cap imposed in 2016 has — at least temporarily — scuttled those plans, although the loan remains available in-branch. Despite the lack of a fully digital WSS loan to date, the case for digitizing water credit remains strong, and in fact many digital loans are already being used for these purposes. Water.org commissioned a loan utilization study in Kenya that focused on undifferentiated digital Equity Bank loans issued from October 2015 to March 2017. The study found that over 21,000 loans (3 percent of total), amounting to $2.2 million, were used on water and sanitation products and services, indicating a sizeable latent demand. Digital water loans linked to vendors and products will hopefully lead to even better outcomes for the households, although it’s also possible that undifferentiated loans will allow consumers to allocate more efficiently. Either way, digital credit appears likely to take water and sanitation lending mainstream, helping millions to live cleaner, healthier lives. The post Water, Water Everywhere, Costs More Than You Might Think appeared first on Inter Press Service.